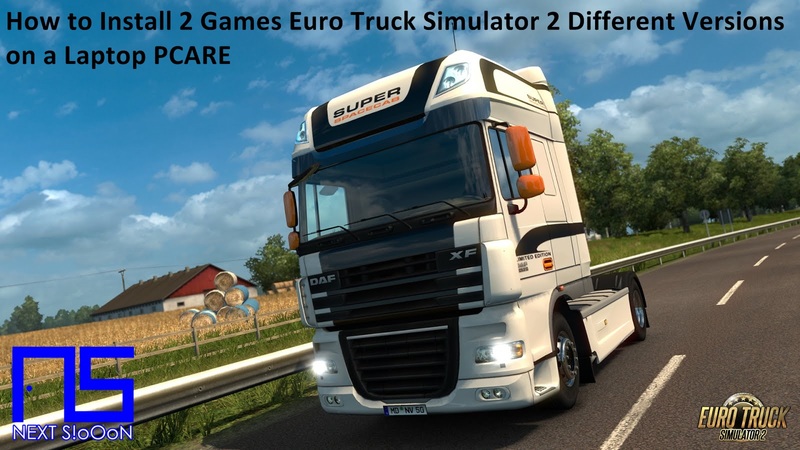 As we know if the Game Euro Truck Simulator 2 (ETS2) has many versions, it becomes a problem for those of you who want to install or add Mods to the ETS2 Game. Each mod must be compatible with the ETS2 Game to be compatible and usable. If it doesn't match, the game will crash or the mod won't work in the game. 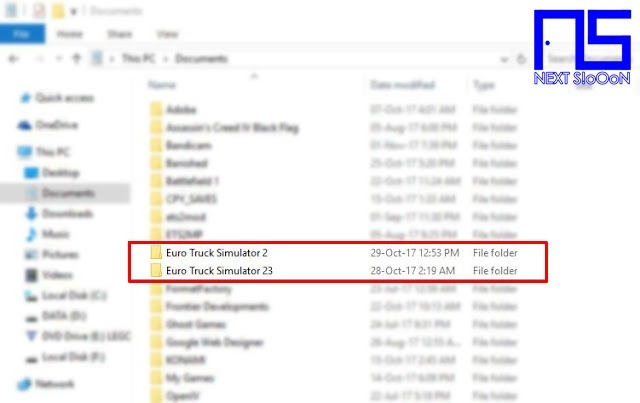 Check on your PC desktops, you will see 2 ETS2 Game Icons. Done, now you can play the ETS2 Game 1.23 and 1.30 on the same PC. This method is tried only in 2 versions, when trying 3 versions it turns out that it crashes or is constrained when playing. Either because my PCs are inadequate, you can try it on your PCs to install 3 ETS2 games. Thank you for visiting Next-Siooon. Keyword: How to Install Two Games ETS2 Differemt Version on Same PC Laptop, Guide to Install, Information on How to Install Two Games ETS2 Differemt Version on Same PC Laptop, How to Install Two Games ETS2 Differemt Version on Same PC Laptop, How to Install Two Games ETS2 Differemt Version on Same PC Laptop, Install, Game and Software on Laptop PCs, How to Install Two Games ETS2 Differemt Version on Same PC Laptop Games and Software on Laptop PCs, Guide to Installing Games and Software on Laptop PCs, Complete Information How to Install Two Games ETS2 Differemt Version on Same PC Laptop Games and Software on Laptop PCs, How to Install Two Games ETS2 Differemt Version on Same PC Laptop Games and Software on Laptop PCs, Complete Guide on How to Install Two Games ETS2 Differemt Version on Same PC Laptop Games and Software on Laptop PCs, Install File Application Autorun Exe, Tutorial How to Install Two Games ETS2 Differemt Version on Same PC Laptop Autorun Exe Application, Information on How to Install Two Games ETS2 Differemt Version on Same PC Laptop File Application Autorun Exe, Pandua Tutorial How to Install Two Games ETS2 Differemt Version on Same PC Laptop Autorun Exe File Application, How to Install Two Games ETS2 Differemt Version on Same PC Laptop Autorun Exe File Application, How to Install Two Games ETS2 Differemt Version on Same PC Laptop Autorun Exe File Application with Pictures.